Every single morning, for the entire year 2016, Karen Fisher had a very particular routine. As she finished her breakfast, she would open a fashion magazine, amidst a collection of international Vogue, W, Elle, and National Geographic, and start turning the pages. After a first look, she would go back but this time tearing up every page that she found interesting. Looking specifically for hand and feet gestures, animals, patterns, flowers and anything botanical, Fisher would then take the torn pages and start to edit them. Once the final selection was made, armed with a scalpel, she went on to start cutting shapes from the pages and began assembling them on an 11×14 sheet of paper, like a collagist version of Dr. Frankenstein. The final touch: adding a signature, the date, the source and a title that would match each experience. “When I finished the project, I immediately wanted to see all of them together in one space” she explained, “since they are fashion oriented, I wanted to show them in New York City during Fashion Week.” A year and a half later, her 366 collages are now all on display at 208 Bowery, the same week models start walking down the runway of NYC’s prestigious Fashion Week. 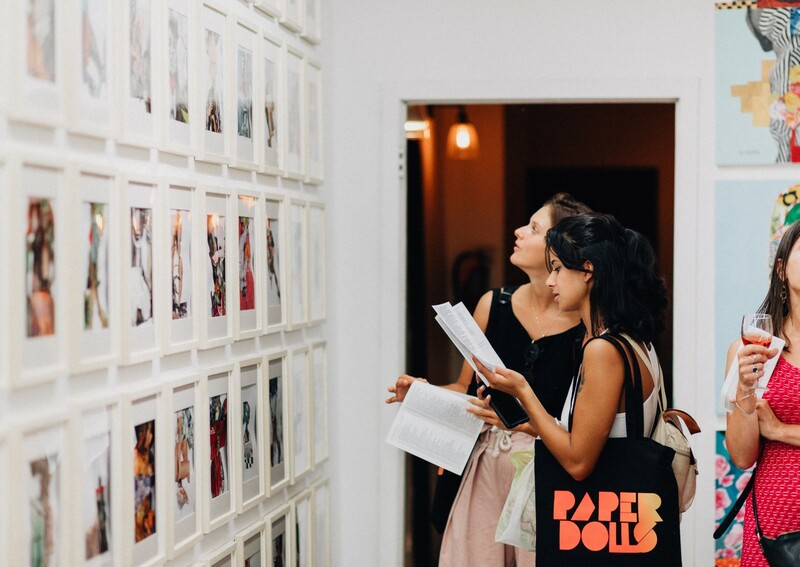 Presented in collaboration with Beckie Warren, from the Instragram account Girl Sees Art, this exhibition titled “Paper Dolls” features paintings alongside the numerous collages. Fisher utilizes social media as a way to ask her followers which collages she should turn into paintings. 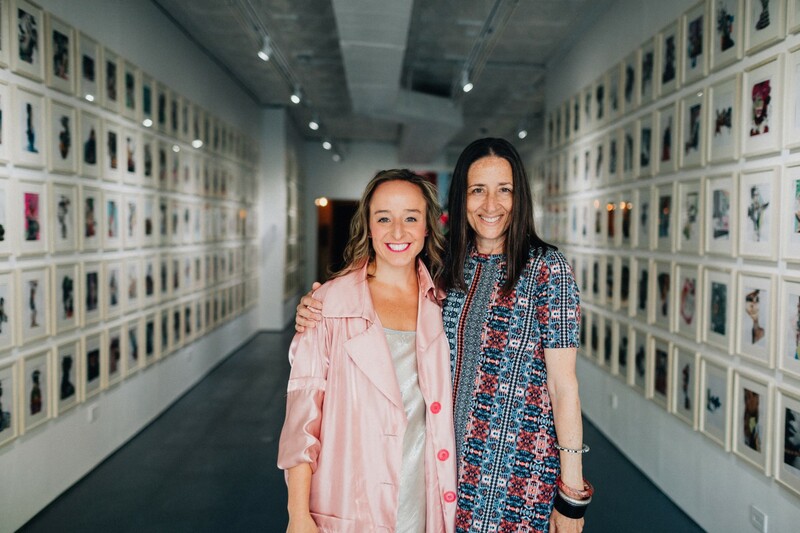 Through this polling, she was helped to identify 12 collages, one for each month, which she then used as inspiration for new mixed-media paintings. 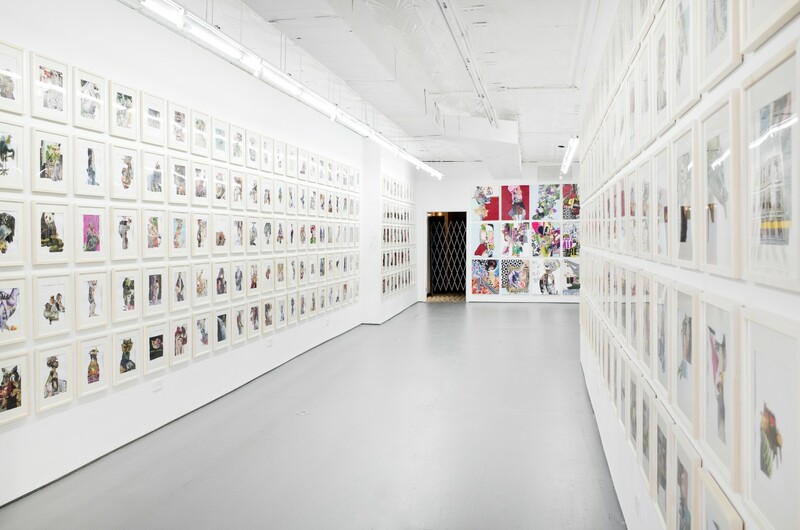 We wish her the best and invite you to go visit her Bowery exhibition until September 16th. Click here to book with Parasol Projects and view our previous, current and upcoming pop-ups.